Every custom scarf project requires a high level of communication, as custom projects demand an orchestrated dance of detail from design to delivery. 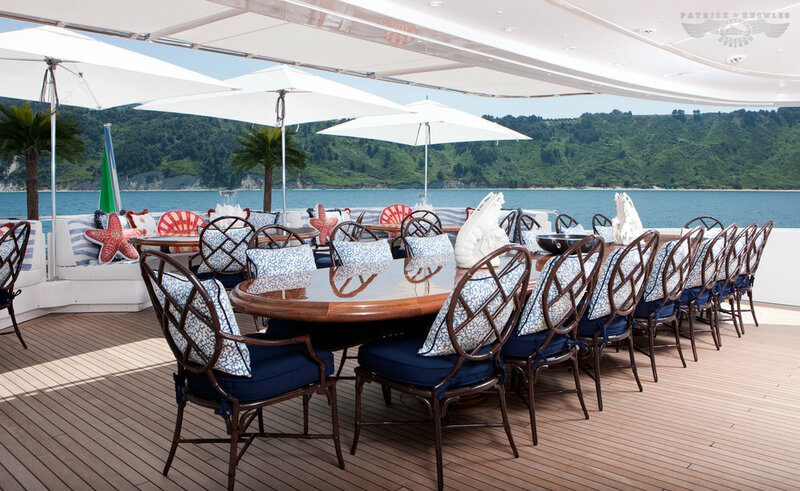 The scarves and ties, designed in collaboration with renowned yacht interior designer, Patrick Knowles, was one such project. 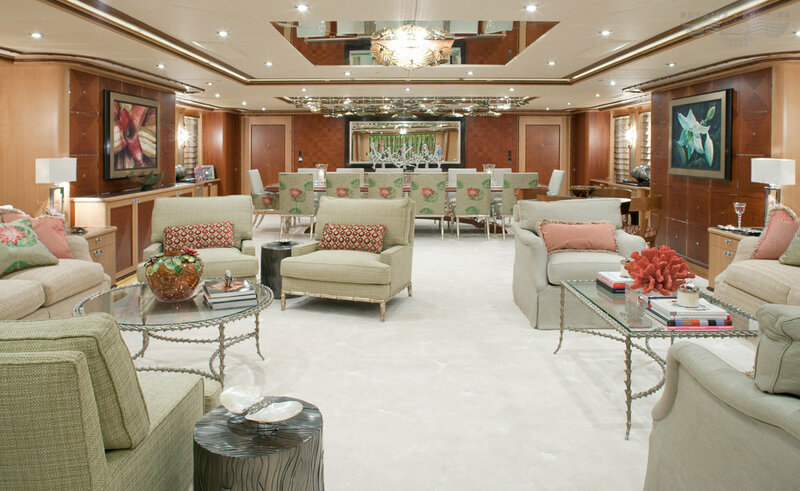 I first learned of Patrick Knowles when I received an inquiry from the Chief Purser of a super-yacht newly commissioned being designed and constructed domestically in the United States. The Chief Purser sought information about developing scarves and ties for the crew as well as for the owner's guests (as personal gifts celebrating the yacht and their yachting experience). 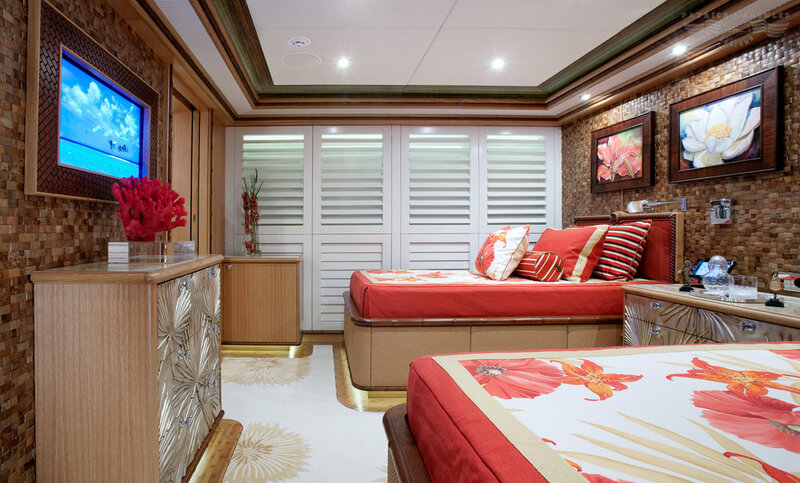 The scarf and tie design were to reflect and commemorate the yacht owners and their design style and to incorporate many of the custom design elements from the yacht interior. After preliminary conversations, Chief Purser introduced me to the award-winning Patrick Knowles ASID, and I worked directly with him on this project. When we began the project the ship was still in dry-dock. Patrick had already completed much of the interior design work. Therefore, it was easy for Patrick and me to have conversations about textiles, design direction, samples, color, style and his overall vision. 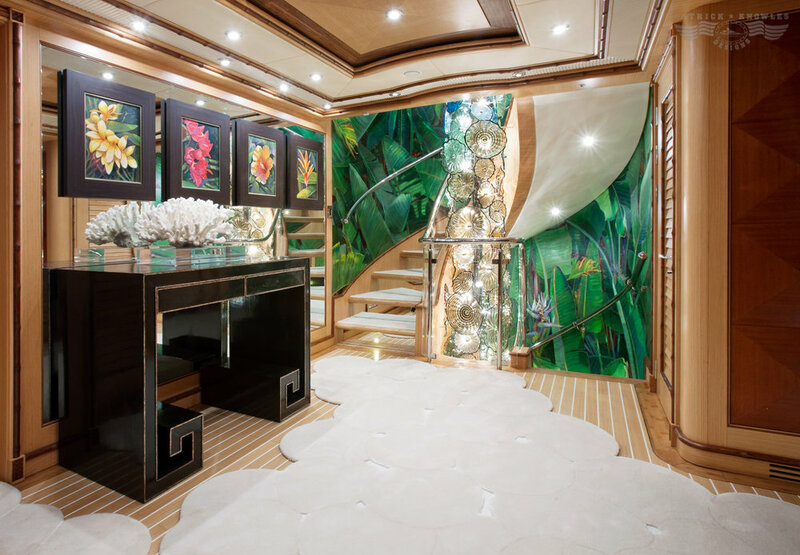 He had a very specific goal for the design development of scarves and ties because Patrick had designed every detail of the interior of this super-yacht. There were also certain design elements important to the owner. In addition, we needed to use the same color palette for the scarves and ties as in the interior of the yacht. 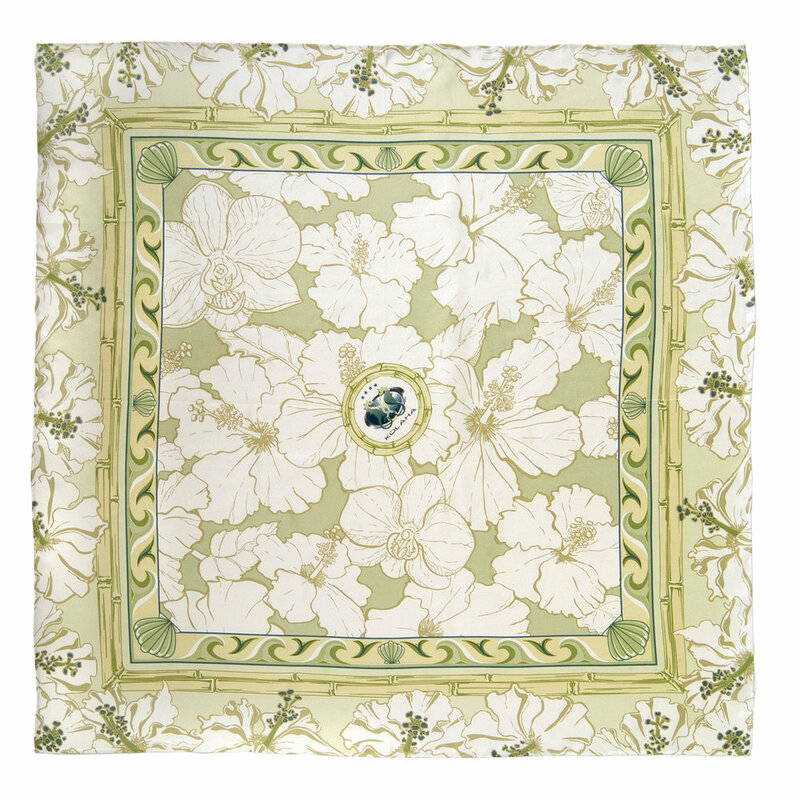 It typically takes several idea exchanges before designs for a scarf or ties near final approval for printing. When collaborating with another designer this is often magnified because a good designer demands perfection and our design concepts must align. Patrick's clear direction helped in many ways. We studied design elements and collaborative ideas. Working designer to designer, we shared the same vocabulary and goals for a beautiful outcome. It was great fun exchanging sketches and concept drawings; communication went smoothly and we worked very well together. The biggest challenge was to meet the deadline because the late Summer early Fall yacht launch date was fast approaching, which is when the mill we selected typically takes a holiday. We were determined to get the design just right and it took concentrated effort to finish on time without compromising the integrity of design or quality or silk. Shipping deadlines, too, presented an extreme challenge. Everything had to be on board for the owner to enjoy the inspection - like unwrapping a big present. Whether first shipments went domestically or abroad (depending on the project), we had many logistical hoops to jump through to get the custom goods in place and ensure everything would come together at the right time and place. The novelty of meeting shipyard deadlines presented a challenge, but we certainly pulled it off! 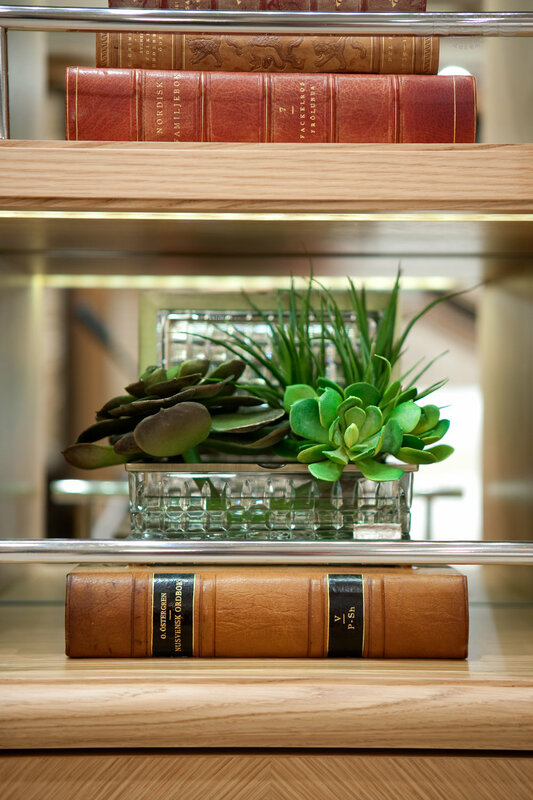 The end result is a distinguished piece that provides a capstone touch to Patrick's exquisite custom yacht design. The yacht owner was thrilled - especially when we succeeded and delivered beautiful scarves and ties. Patrick, too, was pleased with the way the project turned out, as well as with the progress of our collaboration. 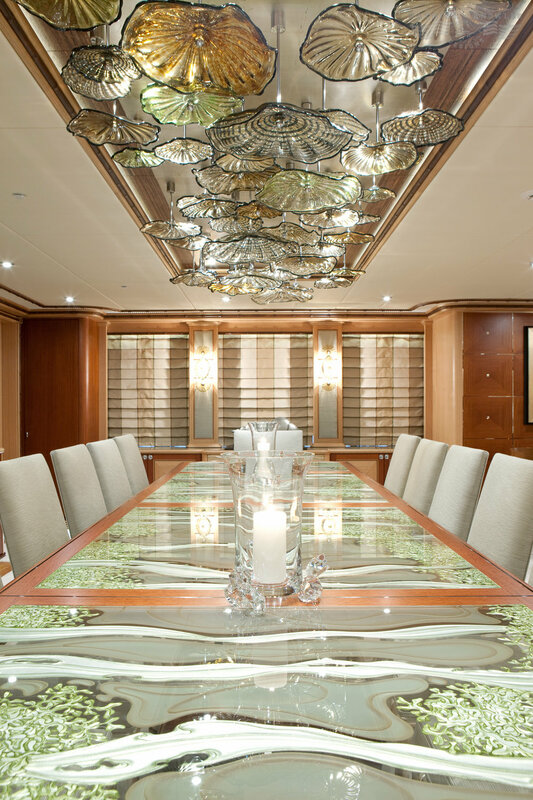 Although the initial contact came from the Chief Purser (who must represent all parties involved in yacht design), Patrick took the idea and ran with it knowing collaboration would heighten his brand by presenting a new level of service for this client.